So who made number one in this popularity contest? 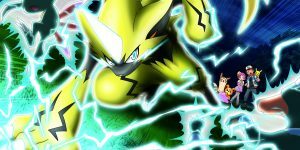 Recently Nintendo Dream conducted a poll asking players in Japan who was their favorite new Pokemon character from Alola. The Japanese magazine gathered the data and below are their findings. It looks as if Lillie’s background and involvement in Sun & Moon has won over many Pokemon players. After all, she was the driving force in the story for Sun & Moon. Her earning first place is well deserved after she touched so many Pokemon fans’ hearts. It is interesting to note at how many ties are in this poll. 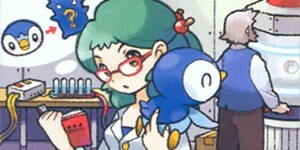 Kukui and Mina were able to tie for eleventh place. Meanwhile, there was a four way tie for fourteenth place. I am surprise that Kahili made it so high seeing how she played such a small role in both Sun & Moon and UltraSun & UltraMoon. Personally, I am happy with the top ten characters on this list. Nintendo Dream also did a poll for the most popular Pokemon introduced in Generation 7. Below are the results. It looks as if everybody’s favorite round owl took the top spot. Not only was Rowlet the favorite starter but the favorite new Alola Pokemon in Japan. Do you agree with the list? Who are your favorite characters and Pokemon from Generation 7? Let us know in the comments.